To watch all five of these substantial movies in quick succession is to understand the evolution of Resnais’s career in miniature: Hiroshima Mon Amour, out now in a jaw-dropping new transfer from Criterion, was not only Resnais’s first feature but also one of the key early films of the French New Wave and arguably the birth of cinematic modernism. 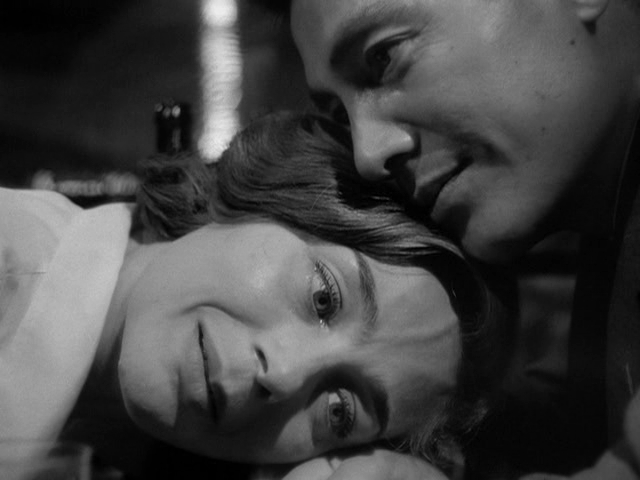 Based on a script by Marguerite Duras (one of the finest ever written), it begins with one of the most daring montages in all of cinema: Resnais cuts between close-ups of the sweat-soaked, naked bodies of two lovers entwined in bed with images of the atomic devastation in Hiroshima and its aftermath. The extensive use of first-person voice-over narration that accompanies these jarring juxtapositions immediately established Resnais as a filmmaker of uncommon subjectivity. Watching early Resnais is like wandering around inside of his characters’ brains — even if one is unsure of exactly which character that might be at any given moment. Are these indelible images of Hiroshima, for instance, objective flashbacks or are they the memories of the Japanese architect (Eiji Okada) who serves as the male lead? Or are they what the French actress (Emanuelle Riva), his lover, imagines happened inspired by the stories that he’s told her? Or is it some combination of all of these things? This profound ambiguity would be even more greatly elaborated on in Resnais’s next two features (Last Year at Marienbad and Muriel). Je t’aime, je t’aime was, until recently, tragically difficult to see. I was therefore particularly grateful for Kino/Lorber’s splendid new Blu-ray release, which should allow Resnais’s fascinating excursion into the science-fiction genre to find the wider viewership it deserves. Ingeniously, Je t’aime, je t’aime uses a time-travel scenario as a potent metaphor for the situation of a brokenhearted and suicidal man (Claude Rich), the guinea pig of a scientific experiment a la La Jetee, who is sifting through his memories and wondering where his most significant romantic relationship went wrong. The masterstroke of Jacques Sternberg’s original screenplay was to have the time-travel machine in which this anti-hero is ensconced literally malfunction, a conceit that then allows Resnais to indulge in what might be the most complex non-linear editing schemes of his career. 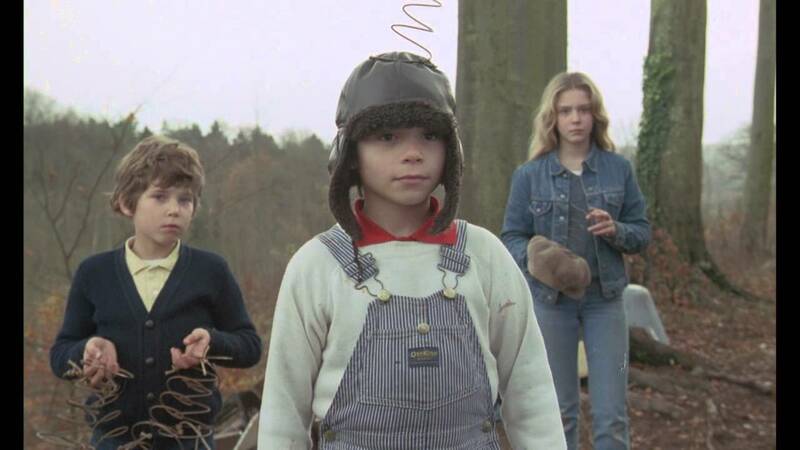 Of course, a film that is this narratively fragmented is ideally suited to Blu-ray, a format that Resnais practically predicted/invented given how the concept of “chapter stops” enables one to freely skip around, freeze and revisit individual moments at will. Life is a Bed of Roses and Love Unto Death are lesser-known, but by no means lesser, Resnais works and are happily coupled together in a single Blu-ray package from Cohen Media Group. Coming in the middle of his career as a feature filmmaker, they were both scripted by Jean Gruault and mark Resnais’s first two collaborations with the great actress Sabine Azema who would remain the director’s muse (and eventually become his wife) for the remainder of his career. Life is a Bed of Roses, the earlier of the two, is an ambitious, big-budget comedy/fantasy/musical that juggles three separate narratives — all of which are set in different eras but revolve around the same castle setting. Love Unto Death, made one year later, is a darker, more austere affair centering on two couples (comprised of four actors from the previous film: Azema, Pierre Arditi, Fanny Ardant and Andre Dussollier) grappling with questions pertaining to love and (im)mortality. Devoid of Resnais’s usual humor, Love Unto Death probably looks more interesting today than when it came out; the film’s considerable formal interest includes an ominous score by Hans Werner Henze that is only heard during non-narrative interludes consisting of shots depicting a strange substance (snow? ashes?) falling from the night sky. Life of Riley was Resnais’s final film, his third adaptation of an Alan Ayckbourn play, and an excellent example of the artificial, deliberately “theatrical” style of his late period. It tells the story of three couples (a gaggle of Resnais regulars including Azema, Dussollier, Sandrine Kiberlain, Hippolyte Girardot, Caroline Silhol and Michel Vuillermoz), all amateur stage performers, who learn of the impending death by cancer of their close friend George Riley. Riley, who at one time or another was the object of affection of all three female leads, is a crucial character who remains offscreen throughout — one of several subtle but daringly surreal and death-haunted touches that belies the film’s otherwise lighthearted and fun exterior. 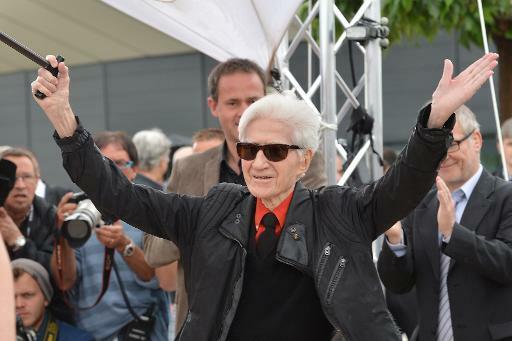 Resnais died three weeks after Life of Riley‘s world premiere at the Berlin International Film Festival, where it deservedly won two awards, and it is hard to imagine another movie functioning as a more fitting epitaph to the career of this giant of cinema. Among the extras on Kino/Lorber’s stellar Blu-ray are interviews with the six principal cast members whose obvious love for their director is palpable and infectious.